Always keep the middle way: don’t eat junk food (or as little as possible), avoid much sugary things and too many drinks and sweetened juices, but also don’t starve yourself by one-sided foods (such as only brown rice and salty products). 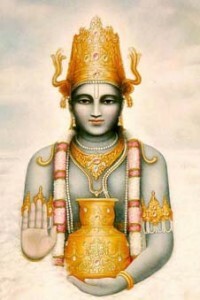 In South Asia, especially India, a system of restoring balance has developed called āyurveda – which means “knowledge of life, or longevity.” It was already described in the most ancient scriptures which are nowadays available for mankind, but the system itself is probably older than the scriptures, and in ancient days taught in families of doctors from father to son or pupil. And the most ancient doctors refer to a great sage called Dhanvaṅtari, who was a god rather than a human being, and who came forth not from a normal mother, but as a result at the differentiation of visible and invisible matter of our universe. This event is known in Indian mythology as ‘ the churning of the ocean of milk.’ He was even in possession of a drink called ‘the nectar of immortality’ – though this meant the immortality of individual consciousness and not immortality of the body. Even before people were living in our part of the universe, gods and healing powers were already differentiated in a space that was relatively homogeneous before. 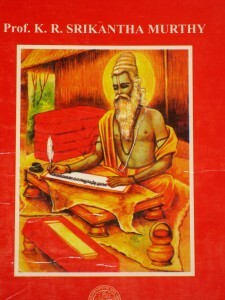 The first known scripture of āyurveda that is still used by āyurvedic doctors today is the Suśruta Saṁhitā, written by Divodāsa Dhanvaṅtari, who claimed to be an incarnation of Dhanvaṅtari Himself. He had descended to the earth on request by the wise living on Earth at that time, who noticed the suffering of people. He decided out of compassion to live in a an earthly body for some time to help humankind in a time that diseases increased due to unbalanced ways of life. Before that time, people hardly got ill: they were living simple harmonious lives and thought little about evil. This is many thousands of years ago. The Suśruta Saṁhitā is famous as being the oldest scripture on surgery about surgery, but deals also extensively with medicine, pediatrics, geriatrics, diseases of the ear, nose, throat and eye, toxicology, aphrodisiacs and psychiatry. in which he put down all his knowledge. It is the standard work of āyurveda today. Charaka knew everything a man can possibly know about herbs, minerals and their influence on the human body. And also how to prepare medicine from herbs and minerals and the elements through elaborate processes. This system of maintaining and restoring balance has helped millions of suffering people, and not only in Asia, but nowadays all over the world. But it has no cure yet for some modern deceases, not everything has been discovered, and is often not strong enough when balances have been to much disturbed. The right āyurvedic approach would be to scan even healthy persons regularly, and provide dietary advices and advices concerning one’s behavior and mental tendencies. This could also be done by regular, allopathic (‘normal western’) doctors and could prevent many diseases – but allopathic medicine are often so far away from the natural balance of Nature, and rely mainly on partial understanding of coarse chemistry of the body. Special for āyurveda is that four stages of disease are recognized, of which only the last one is the physical manifestation. Normally only then we say that we are ‘sick.’ Actually disease is the outermost and last manifestation of karma – the ‘history-thread’ which connects the present with the original cause in the mind – sometimes quite a few incarnations ago. In reality the disease can be traced considerable time before its actual manifestation by measuring the balance of vāta, pitta and kapha. Then most diseases can be prevented, and the general fitness and feeling of physical, emotional and mental comfort of the population can be much better than it is at present. Āyurveda is based on maintaining and restoring balance between three combinations of elements of which the body and the psychology is composed. Psyche and body are intimately connected and reciprocally influential. The three combinations of elements are air-and-space (or ‘wind’) (vāyu vāta), fire-and water (or ‘bile’) (pitta) and water-and-earth (or ‘phlegm’) (kapha). These three substances (doṣas) should exist in equal quantities for a body, mind and psyche to be healthy. The exact combination of these three is unique for every person. The āyurvedic medical system uses plants, and sometimes animal and mineral products as rebalancers. Originating in India, and having thousands of years of experience, most ingredients are South Asian. But the basic thought is, just as with the Chinese and Japanese and related systems, to restore balance by various means. The five elements of āyurveda are earth, water, fire, air and space (ākāśa) and are represented by the substances of which we are made – including those of our mind and psyche. 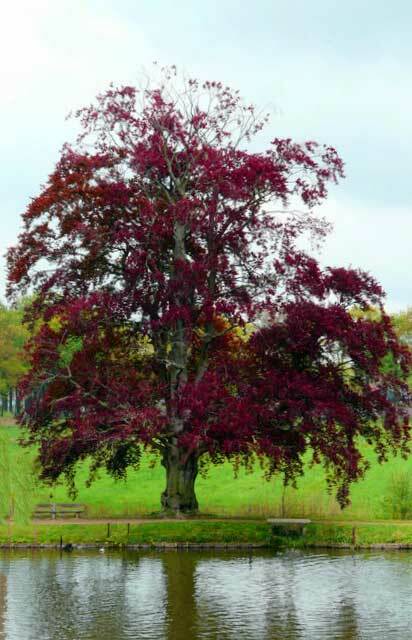 ā sees an organism as a wholeness, which as a whole should be in balance. An unhealthy mental disposition or erratic behavior disturb the balances as well as wrong foods and drinks. Diagnosis is made by measuring the balances, especially by pulse-diagnosis, whereby the doctor places three of his or her fingers on the pulse artery of both hands respectively. Amazingly accurate and astounding diagnoses can be made with this method by an experienced doctor (who may originally have learned this from his father from the age of four! ); but also other methods, in which the doctor may use all his five senses, are applied. Not all āyurvedic medicine are as efficient as modern western, allopathic medicine – and for some diseases, especially some of the modern ones, there just has never been discovered a proper cure. However the allopathic system is based on ‘killing the enemy’ (germs etc. ), whereas āyurveda is based on what is the natural for the body, the mind and the psyche. Āyurvedic medicine may also contain poisonous elements or minerals, just like allopathic medicine, and can be dangerous when overused. Though āyurveda is thousands of years old, and ancient prescriptions are still in vogue, it could be adjustable to all parts of the world and all types of people. Modern discoveries and our present day detailed knowledge about plants, antibiotics, minerals, and other substances (which knowledge includes a refined conception of the ‘elements’) might be included into the framework of thinking in terms of balance. The principle difference with the dominating western approach is partly ethical: it seeks to cooperate with the existing experience of the organism and the laws of nature reflected therein, and the system is based on understanding of basics rather than on trial and error – and therefore experiments on animals and the connected cruelty are unnecessary. How can an ultimate balance of health in a universal sense ever be reached if erasing suffering involves causing suffering to others? Āyurveda and other healing methods based on plants presupposes knowledge of plants and of their properties. These properties could, many think, have been discovered by trial and error, or sometimes by ‘sheer luck,’ as in the case of penicillin, only discovered in 1924?? by western scientists. But that is generally a mistaken idea.The ancients used some methods based on their looks on life which in modern times have been forgotten. Āyurveda medicine have first been described by ‘rishis,’ trained wise men or women who acquired their knowledge by means of direct perception. These rishis could consciously rise their consciousness up to that of the gods, and thus communicate with them. They had made their own awareness so subtle that, when ‘listening’ or rather ‘feeling’ within themselves silently while in communication with the plant’s soul, the plant would reveal its secret to the rishi. In this way ‘primitive’ specialists could become aware of the inner being of the plant on a psychological level rather than on a chemical level. For this, perception with the heart-mind was needed, rather than analysis by the brain-mind.1 Then, of course, they had to put their acquired insight into words understandable for common people. Modern western medical science analyzes the chemical special properties of plants or which the healing properties have been known for ages, and this knowledge been assembled from traditional cultures of all parts of the world. After analysis science isolates these chemicals from the plants or synthesizes them in a factory or derives them chemically from another natural source. This isolation and synthesizing of chemical substances makes allopathic medicine very strong and aggressive, and therefore in the short run very effective. But at the same time they causes new imbalances in the body, or in nature – as is proved by the ways nature always again manages to ‘create’ microbes resistant against mono-chemical or chemically simple medicine. Many modern medicine are based on analysis of medicine already discovered by traditional people anywhere in the world. Also the numerous āyurvedic medicine can thus be analyzed. But the rest of the wisdom of such cultures is not looked at or not taken serious. Modern people know a lot and are intelligent, but only in a limited field: the strictly material. What modern science often overlooks is that natural medicine, such as whole parts of plants or herbal compositions, contain much more than the killer agent isolated or synthesized in a laboratory. The whole plant reflects the totally of natural laws in the cosmos, thus containing the wisdom of the cosmos – which already became available at the time of ‘the churning of the ocean of milk.’ People in those days may not have had our modern laboratories and analytical methods, no nuclear magnetic resonance machines or mass spectographers etc. 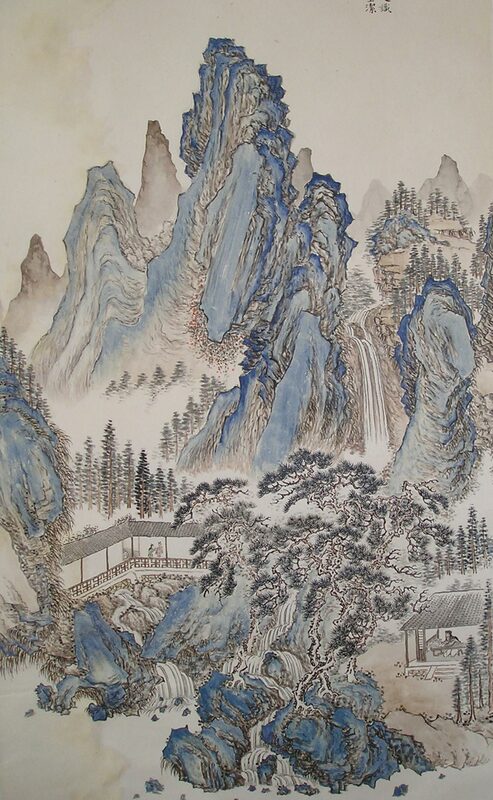 but they perceived a plant in its total character, and they recognized that as a subtle feeling within their own heart. They could do so only because of their inner purity and by their patience while perceiving with the capacities of their heart rather than with the brain capacities in their head. The advantage then would be that the view of the plant is holistic, and can directly be related with disease or unbalance within the human constitution. 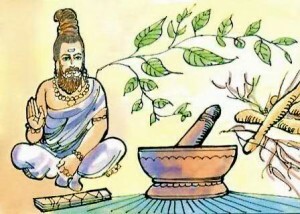 A second specialty of āyurvedic is that the whole medicine sometimes consists of dozens of herbal extractions and mineral components, and the fact that for each medicine there is a specific method of preparation, in which factors as temperature and time and sometimes mantras (specific meaningful vibrations of sound) and yantras (specific geometrical figures) are involved. This is because ancient people, and even some in Europe of the past millennium and last century, knew about subtle influences of ‘magic,’ which means nothing else than perception and application of that was is invisible or imperceptible for most human eyes and sense organs. To repeat it again, like all other systems of healing inspired by Praja of our story are meant to restore balance, to help the body to help itself, to cure itself. The body knows almost everything about the science of healing. It has millions of years of experience accumulated from generation to generation. It knew about vitamins and essential minerals long before the minds of scientists thought of it. Your body can distinguish between millions of different chemicals and intruding creatures which are harmful for it, and can prevent them for doing harm by a proper reaction. This is what is called the immune system. But if something new comes up, like industrial products and their special types of chemical pollution, the body may not recognize these, and have no answer. It may also happen that new types of germs or viruses seemingly pop-up just out of nothing, like the AIDS virus. Or ancients micro-organisms may have been buried for thousands of year and entirely forgotten, but still suddenly surface in modern times. Then people can get sick with illnesses that did not even exist so far. Āyurveda is designed to keep and restore balance, to remain healthy in the first place, by appropriate foods with are best for your type of body. It was not designed with the purpose of killing germs (or evil spirits) – it has no modern chemical antibiotics – and also it may be of little help if you already have a disease of strong physical disharmony, like cancer. Then it is too late. In most cases it could have been prevented.